The return of Ronda Rousey is upon us! It has taken more than 13 months to come to fruition, but the mixed martial arts (MMA) trailblazer will finally step foot back inside the Ultimate Fighting Championship (UFC) Octagon later this evening (Fri., Dec. 30, 2016) at UFC 207 live on pay-per-view (PPV) from T-Mobile Arena in Las Vegas, Nevada. Rousey, who infamously lost her Bantamweight strap to Holly Holm via second-round knockout back at UFC 193, will challenge current divisional queen Amanda Nunes, who earned the 135-pound title after submitting Miesha Tate back at UFC 200 this past July. As Rousey gears up for what will undoubtedly be the most watched comeback in MMA history, fight fans can’t help but follow her every move (or lack thereof). It’s not their fault. 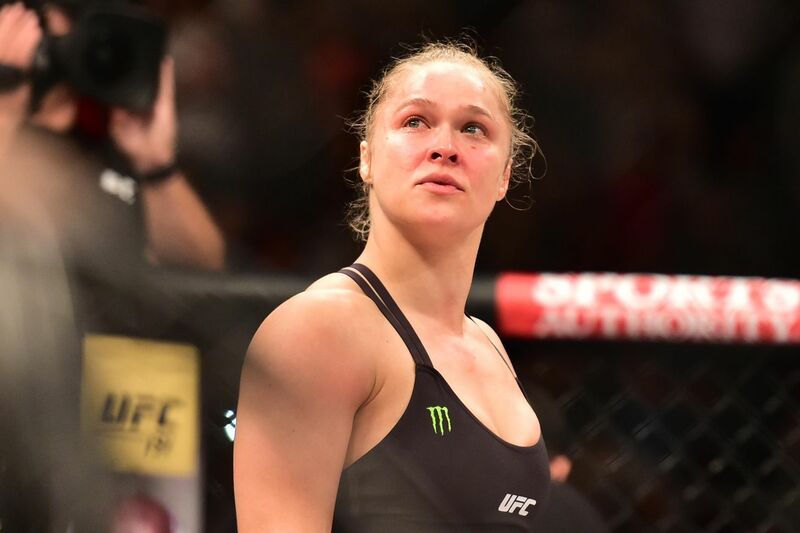 Rousey put women’s MMA on the map and created an opportunity for world-class athletes like Nunes, Holm and Tate. She represents the “big bang” that set the entire women’s 135-pound division in motion and a legend of the sport no matter what happens at UFC 207. With that said, it is not Rousey’s accomplishments or accolades that will draw the most interest in her return. Instead, it will be the uncertainty of her ability to rebound from crushing defeat that will create the most appeal. Having never lost a single round in her professional MMA career before encountering “Preacher’s Daughter” in Australia, Rousey will be faced with a fight or flight scenario against Nunes. She will either respond in full after a lengthy layoff and stifle the competition like she’s been known to do, or she will once again be outmatched by a superior striker capable of defending her throws and advancements inside. Rousey has certainly worked on herself since UFC 193, but she’s not going to be on the same level as “Lioness” in the striking department. That will allow fight fans to see what sort of changes Rousey has adapted to and how she will respond to an early-round finisher like Nunes. It’s crazy to think that Rousey will carry such uncertainty with her to the cage later tonight considering she was destroying chicks in just 14 seconds no more than two years ago, but it’s a reality that surrounds the transcendent star upon her return. MMAmania.com will deliver LIVE round-by-round, blow-by-blow coverage of the entire UFC 207 fight card, starting with the Fight Pass “Prelims” matches online, which are scheduled to begin at 7:30 p.m. ET, and then the remaining undercard balance on FOX Sports 1 at 8 p.m. ET, before the PPV main card start time at 10 p.m. ET.